The Hyangyak chipsong pang lists 25 forms of jaundice, but these conditions were not linked to problems of the liver and gallbladder. By contrast, the Tongui pogam reduced all the subdivisions simply to jaundice. Its cause was explained in terms of "damp fever," in which the blood evaporates and becomes hot and dark in color. This dark color first appears in the eyes and face, but as it spreads, the whole body becomes yellow. Causes of jaundice included alcohol poisoning, lack of appetite, excessive sexual indulgence, and yellow sweat. 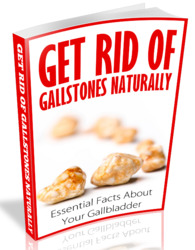 Some texts apparently described gallstones along with colic, but all the painful "stone diseases" were essentially indistinguishable. Although cirrhosis of the liver was not uncommon, this disorder was not specifically ascribed to the liver. The symptoms of cirrhosis were probably considered along with ascites, meteorismus, and other disorders involving abdominal swelling.